Photographing weddings at Ringwood Hall is fantastic – its a huge big 19th Century Manor House on the outskirts of Sheffield near Chesterfield. The main hotel can host several weddings and you can even get married outside in the pagoda – if the sun is shining! The grounds are amazing – they are so big they even have their own marquee you can hire with a secret garden attached! There are 6 acres of gardens – with different styles – perfect for your photos – the main lawn is a fabulous backdrop for those group photos. The staff are fantastic – nothing is too much trouble. The hotel now even has its own Spa! 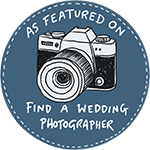 Helen & Paul are Lake District Wedding Photographers who also love to photograph weddings in Sheffield, the Peak District and all over Yorkshire!